Form is one of those aspects of picture making that lend an extra level of illusion to a painting. It is important when trying to render form to not get caught in superfluous detail or conversely too broad a handling. Over rendering can flatten the elements of a painting just as much as too much simplification. 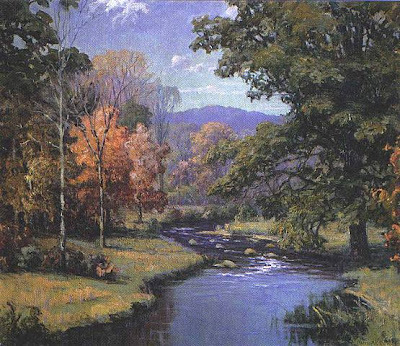 Many plein air paintings today have a slap dash approach ignoring the subtleties of the scenes depicted. This short hand might have some superficial charm but when placed next to paintings with sensitive observation they fall short every time. 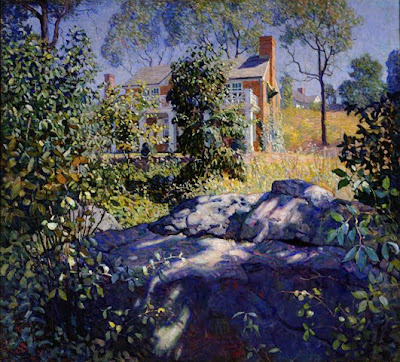 In my opinion, the best painters render form simply with a keen eye to the angle of the light in the scene. Great painters can abstract the geometric plane changes in a way that creates the illusion of detail when none is present. Painting forms well will create solidity to them. To do this the artist must be aware of the subtle color and value shifts that create the illusion of dimension for an object. The angle of the light must be consistent throughout the image. The light dictates the quality of the shadows and they too must be consistent for the type of light. There is also an understanding of perspective and how it affects every object in the scene. Edges are also important and correctly observing the type of edge needed to turn a form requires careful observation. This type of observation is important throughout the painting and is difficult to do when painting from life. I always try to spend some time walking around getting to know the place I’m going to paint, if it is a local scene I make multiple trips to it to see things in different types of lighting situations. Walking around allows you to see the objects in the scene from more than one angle. An elements contour can be deceptive and make you think it is shaped in a way that it really isn’t. Moving around the elements allows you greater understanding and the forms become more apparent. Painting form adds power to your paintings. The secret lies in a more sensitive approach and careful observations. This is achieved by slowing down and spending time contemplating your subject before you begin to put brush to canvas. Nice blog on Form, Armand — proper forethought regarding foundational drawing & structure definitely makes or breaks a picture. 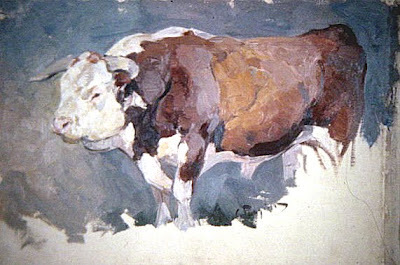 Where'd you get that Wyeth piece? Never seen it before. Always love your work — keep it up! Sorry I don't remember where the Wyeth came from, but probably from auction catalogs( either hard copy or digital) I've been trolling them for ten plus years now.